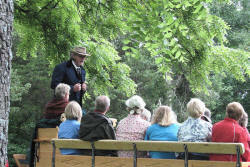 Historian Bob McCue explains the hill to visitors. 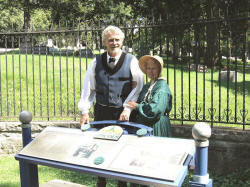 [September 17, 2009] ELKHART -- Enjoy a tour of historical, beautiful Elkhart Hill on Sept. 26. Then spend the day in Elkhart's quaint village -- dining, shopping and touring the historic Gillett Mansion. 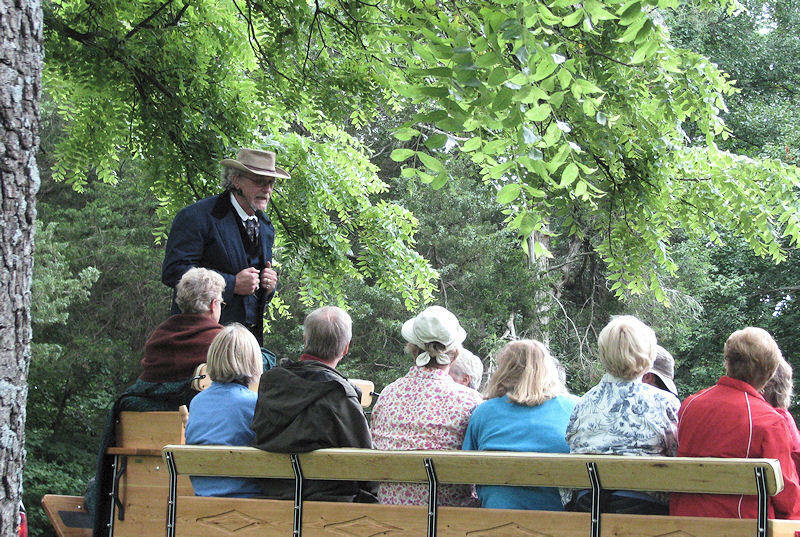 Historian Bob McCue, who has studied the history of Elkhart for over 25 years, will lead the hill tours, and participants will ride in the Elkhart Historical Society's new tour wagon. 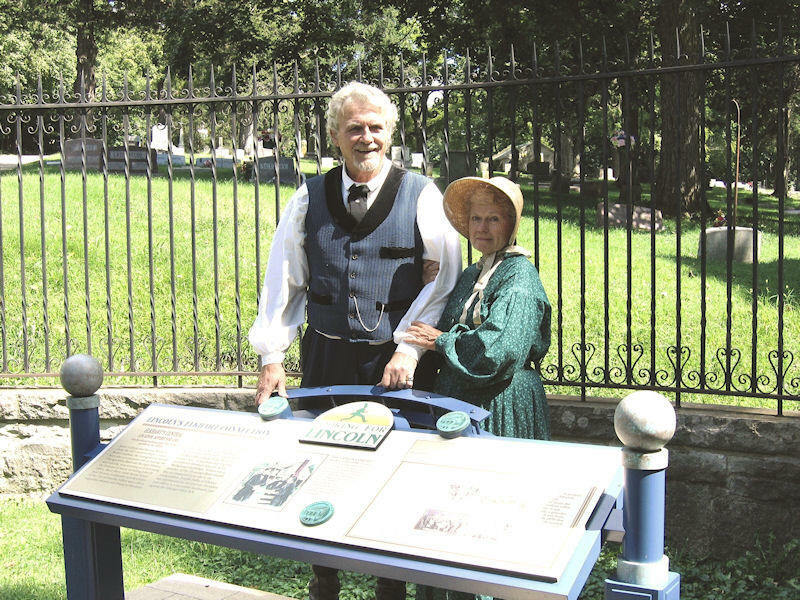 The tour includes Indian, pioneer, historical and political sites, and a stop is planned at the Looking for Lincoln Wayside Exhibit located near Elkhart Cemetery. 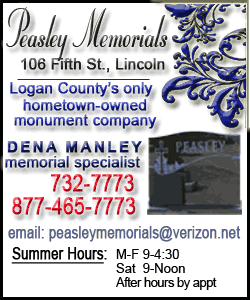 This exhibit covers the Lincoln connection with Illinois Gov. Richard J. Oglesby, who is buried in the cemetery. Tours will depart from downtown Elkhart at 9 a.m., 11 a.m., 1 p.m. and 3 p.m. Each outing will last approximately 90 minutes. Reservations are required for all tours, and tours are limited to 12 people. 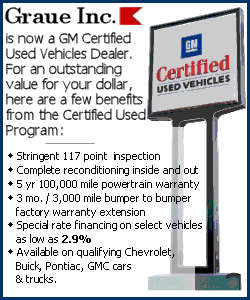 The cost is $10 for adults, $7.50 for seniors 60 and over, and $5 for children 12 and under. Registration closes on Sept. 23. For more information and to print a reservation form, visit www.elkharthistoricalsociety.org. The rain date is Sept. 27. In addition, tours of the Gillett Mansion on Elkhart Hill will be offered throughout the day. This historic family farm originated in 1870. The beautiful residence has 700 acres of farm, lawns and gardens that surround the 33-room home. Tours include stories about the home's antiques and memorabilia. Reservations are required. For tour times and to register for the Gillett Mansion tour, call 217-947-2346. The cost is $20 per person, $15 for seniors 60 and over. For more information on the Old Gillett Farm, see www.oldgillettfarm.org. To extend an Elkhart visit and stay overnight at the Old Gillett Farm Guesthouse, see www.oldgillettfarm.org and contact Lisa at 217-947-2346 for details.